The PADI Tec 45 course is the second part of the full PADI Tec Deep Diver program. 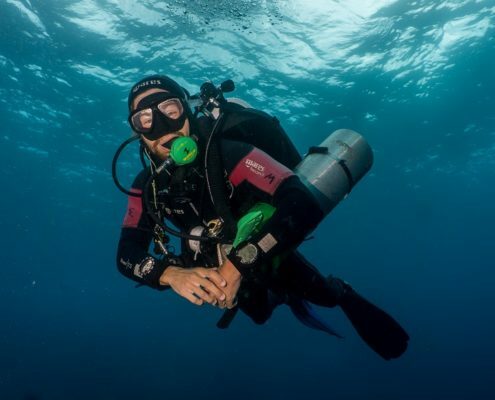 You’ll extend your depth limit to 45 metres and learn to plan and execute repetitive decompression dives using a single stage/decompression cylinder. You’ll also make accelerated decompression dives using EANx or pure oxygen. This is a course where you’ll rise to the challenge and make the commitment to become a technical diver.